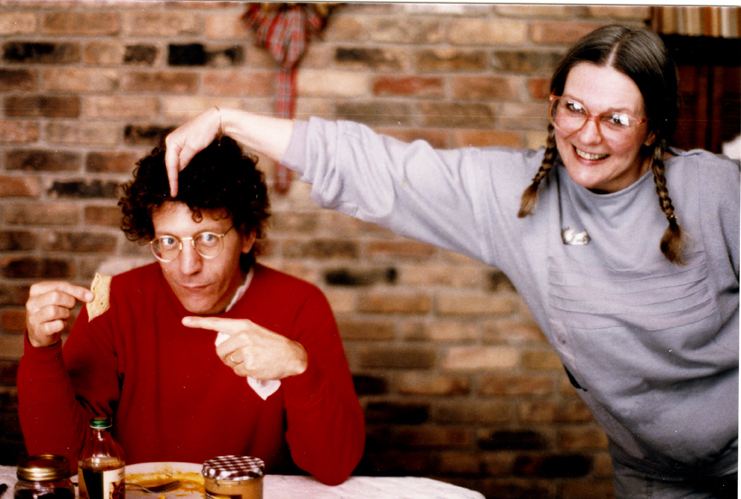 Not long after my girlfriend, Susan Blommaert, and I moved from Chicago to the Michiana Shores area in the early 1970s, I met illustrator, Slug Signorino. Whenever I’d walk down the hall of an old, nearly abandoned building in Michigan City on my way to the local typesetter, I’d pass Slug’s studio. One day, he opened his studio door as I walked by and we quickly became best friends. We located studio space nearby and dubbed ourselves, “Magpie Studio”, a perfect name for two chatterboxes who had few assignments to get in the way of good times listening to Miles Davis and Firesign Theater LPs and sneaking out to the Dairy Queen just down the street for Buster Bars. In short order, Susan and I met Slug’s wife Judy and his lovely daughters, Sami, Susie, Sallie and his son, Michele. 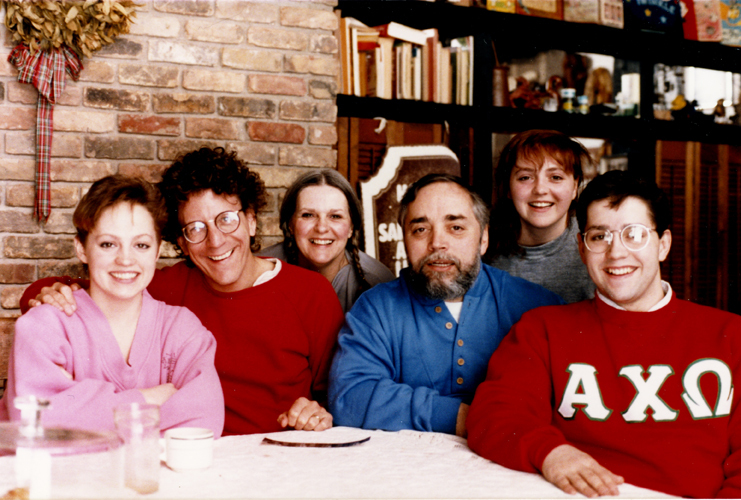 Judy welcomed us into her home, whipped up meals for the entire gang at the drop of a hat and, before we knew it, we were a part of the Signorino family. They even allowed me to set up jam sessions with local musicians in their large living room from time to time. I left for Manhattan in 1976, but I stayed in touch with Slug over the years. Whenever I’d return to the area, Slug and Judy always insisted I stay with them. I was family. Judy Signorino died on February 12, 2019 after a long illness. In recent years, whenever I called to have one of my long talks with Slug, Judy would always answer the phone. When I’d ask how she was feeling, she would always say, “Oh, I’m feeling fine,” in her sweet, soft voice. She wasn’t feeling fine, but she didn’t want to discuss her illness, she wanted the latest news about my career, my life in the big city. After a few minutes, she would laugh and apologize for taking up precious long distance minutes and hand the phone over to Slug. Judy was born in 1940 and, in the early years of her marriage, she hewed to the role of a housewife, which was a full-time job. She handled those chores admirably, but she was surrounded by talent and wanted in on the fun. Slug, who became a busy illustrator (he illustrated Chicago Reader’s Straight Dope column for decades), as well as several of the Signorino offspring were also experiencing the joy of making art. She had no formal training, but she was fascinated by Native American and Mexican art and began making pots and figurines in terracotta, eventually acquiring and learning to use a kiln to fire her work. She bloomed as an artist and it wasn’t long before she was invited to have an exhibition of her work at Objects Gallery in Chicago. Judy was also a first rate fiber artist and quilter and experimented with wood carving and painting. Over the years, she exhibited her work in many galleries and sold her work at art fairs throughout the area. She was a bundle of creative energy and, when she wasn’t making art, she was teaching at Head Start and designing and sewing costumes for local theaters. She also donated her fiber art to benefit the Alzheimer’s Association. She was a benefactor to Wolf Park in Lafayette, Indiana; the ASPCA, The Humane Society, PBS and Reins of Life in Michigan City. 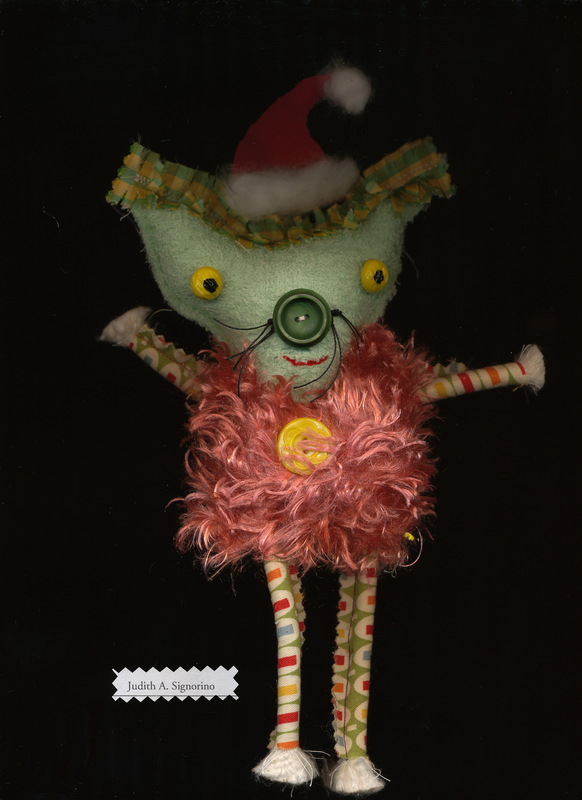 One of Judy's somewhat recent delightful, fanciful dolls. In short, Judy was a remarkable woman who juggled multiple roles: a wife, a mother and a creative artist. 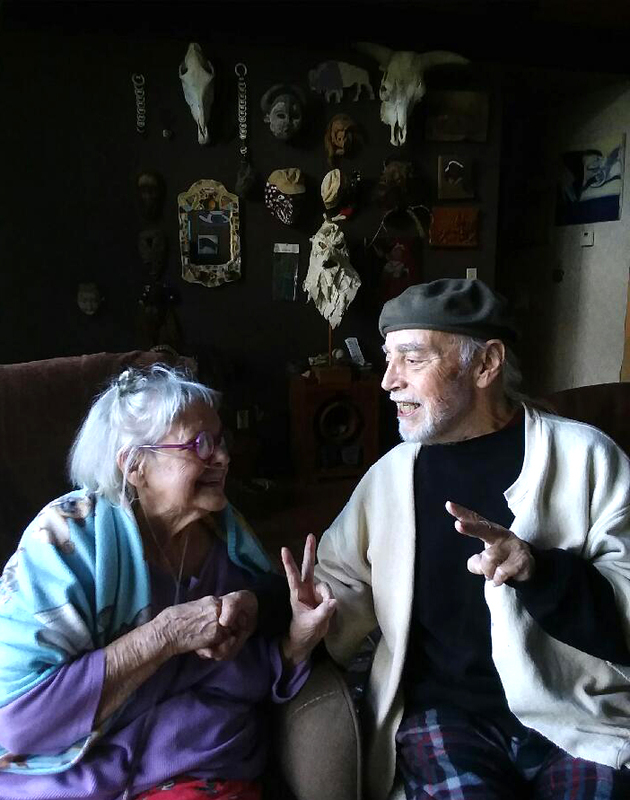 I will miss her sweet voice whenever I call my old pal, Slug, to catch up on our lives and recollect stories from the old days. Thanks to the Signorino family, those particular old days were as sweet as one of Judy’s strawberry-rhubarb pies.